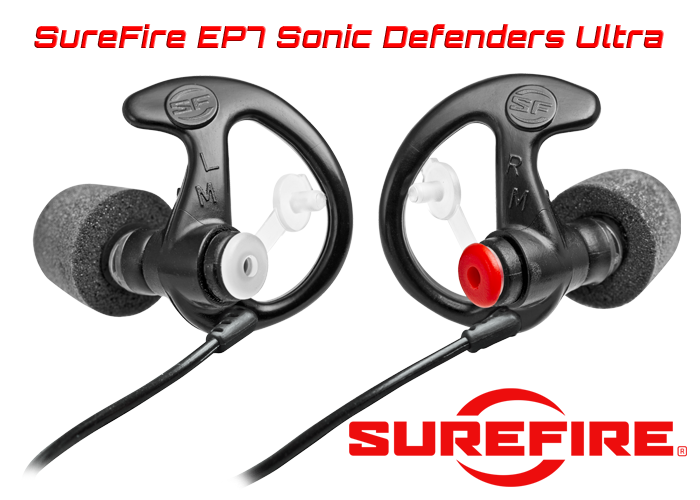 EP7 Sonic Defenders Ultra protect your hearing without interfering with your ability to hear routine sounds or conversations. Their foam-tipped stem design, featuring soft memory-foam Comply™ Canal Tips, fits most people and provides a Noise Reduction Rating (NRR) of 28dB. 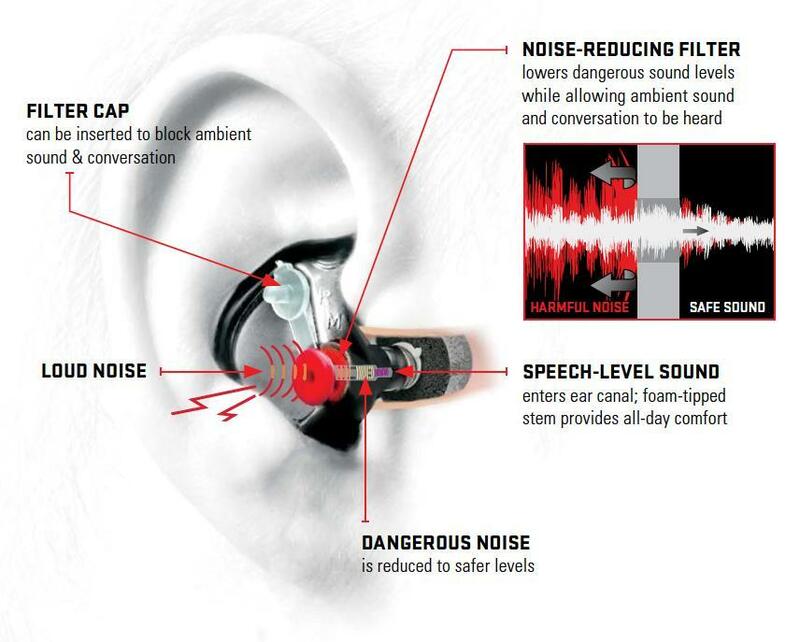 Sounds, at safe levels, are allowed to pass through into the ear canal, while potentially harmful noises (above 85dB) are reduced via a proprietary design that incorporates a special noise-reducing filter. 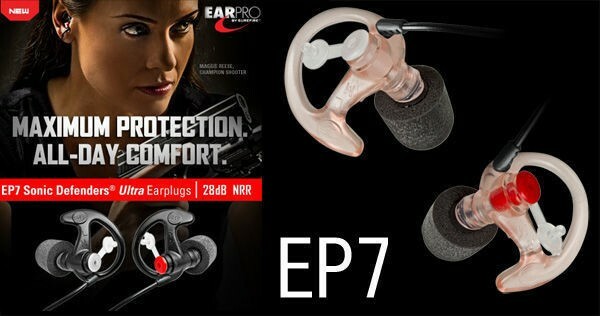 EP7s include attached filter caps, which can be inserted for additional protection and blocking out lower-level noise, like that heard on a plane, in situations where hearing ambient sounds or conversations isn't critical. Right/left color-coded Sonic Defenders Ultra are made from a soft but durable, hypoallergenic polymer that provides all-day comfort and an extended product life (up to 6+ months, depending on usage and care). Their patented EarLock® retention rings lock the earplugs in place, while soft foam-tipped stems provide secure seals in the ear canals. And their low-profile design means they can be worn while wearing a helmet or mask, or while using a phone or headset.